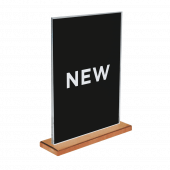 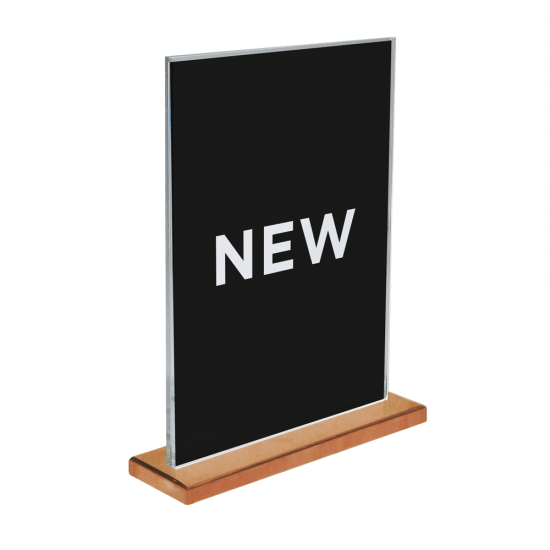 This stylish poster holder is a great alternative to more traditional POS. 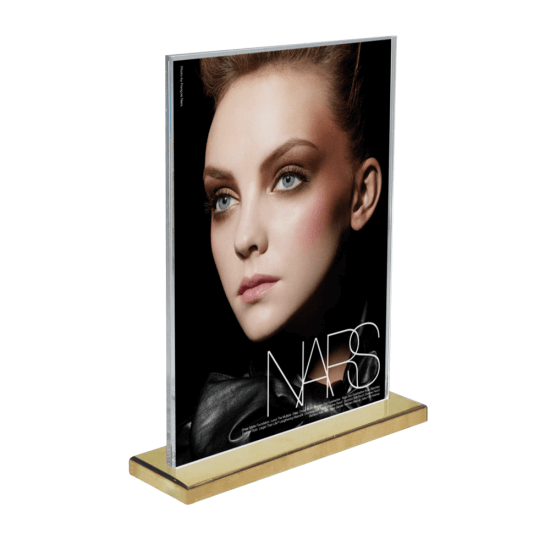 A Metal Counter Standing Poster Holder will keep your displays inline with current industry trends, make your message stand out and compliment your interior. 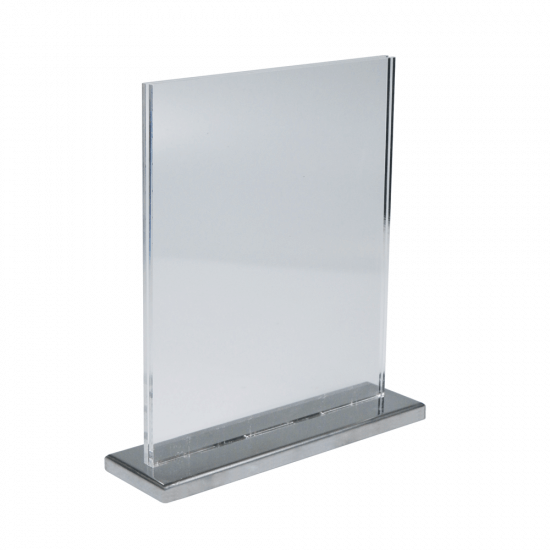 Choose from one of four popular finishes to suit your branding. 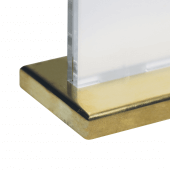 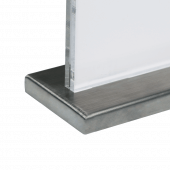 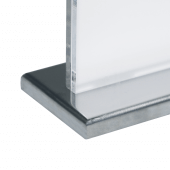 The base is manufactured from solid metal (in one of four finishes), whereas the poster holder is manufactured with a total of 4mm acrylic, ensuring your poster is encapsulated by two pieces of premium 2mm Supervue acrylic. 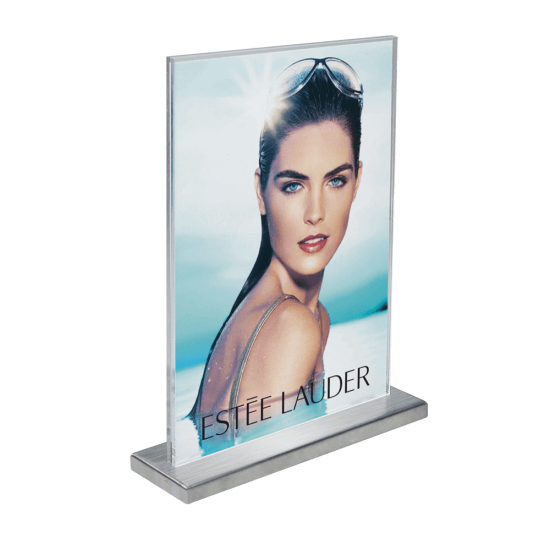 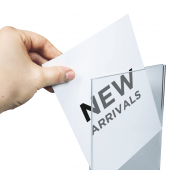 Metal and industrial style POS is very on trend right now, so we are catering to all industries and brands by offering a brass, copper, chrome or brushed metal finish to your metal poster holder base. 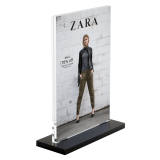 Simple, the sides of the acrylic frame are open so your poster simply slides in and out. 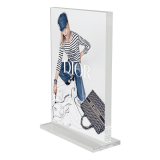 Yes, the poster holder is manufactured from clear acrylic so can support a double sided poster or graphic.